Trip Advisor® 5 Star Rated. Far Fung Places goes beyond the minimum "three star package" to elevate the service and quality of your travel experience. For well over 25 years Far Fung Places––Bhutan Pioneers––has marketed its own fully researched programs to Bhutan offering travelers four and five star accommodations, distinguished Bhutanese guides, lecturers, and 'stand out' experiences made possible through our long-standing friends and contacts in the Kingdom. Enjoy Kathleen Fung's Travel Blog. Comfort and ease: Deluxe and luxury hotels: the Zhiwaling in Paro and the Le Meridien in Thimphu; elsewhere, excellent local Bhutanese hotels, many of them four-star. We include imported wines with some dinners and gratuities for hotel and restaurant staff. Our Bhutanese guides are considered distinguished in the field. Karchung, our Field Manager in Bhutan and Tour Leader of many of our exclusive travel programs, has been working with us for over 20 years. We pay our guides more than the standard guide fees because we appreciate and value their excellent service. A private musical performance with traditional instruments with a renowned musicologist if he is in residence. Deluxe four-star and five-star hotels, including the Le Meridien in Thimphu, the Zhiwaling in Paro, the Kunzhangzhing in Punakha, and the Jakar Village Lodge in Bumthang. Most of these hotels are Bhutanese owned and managed so we support the local community. (We use three-star accommodations in Trongsa, where deluxe hotels are less available). Wines with many meals in Bhutan. Gratuities to the hotels, restaurants, and porters excluding the driver and the guide. Comfortable vehicles: a coach for groups of six or more; a van for three to five people, and a car for two people. It is also possible to arrange a home stay at our field manager's farm in Trongsa (limited to two people). Deposits and final payments (optional credit card services). Guidelines for etiquette in a Buddhist country. We also provide financial protection: All deposits and payments go into an escrow account at Wells Fargo Bank, San Francisco, California so your money is protected. 4 or 5 star Bhutanese hotels. All meals and wine included with some dinners. Private Bhutanese musical performance with a renowned musicologist. Driver and a comfortable coach. Visa and processing for Bhutan. 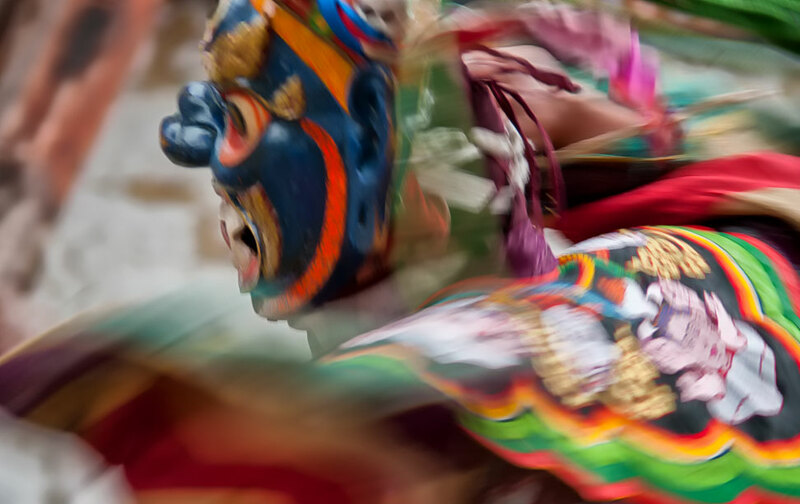 Airfares to and from Bhutan are extra and typically average $800–$900 roundtrip from Bangkok. Private programs traveling with Karchung, our Field Manager in Bhutan, can be arranged. Prices and itinerary are on request.